Now that ISAAC has been around for slightly more than two years, it is a good time to remind ourselves and our supporters who we are and what we hope to do. Basically, we are a non-profit organization that equips people and organizations working with Asian North American Christians. Asian North American Christian communities are vibrant and growing, but are barely a blip on the American and Canadian radar. Though an emerging force within the Christian movement and society, Asian North American Christians face many challenges. So far, so good – easy stuff, I think. But, when we talk about who we are serving, it’s not so easy. That’s because we have two target audiences: the Church and Academe. Working with both communities is the most complex and misunderstood aspect of what we do. All of us who started ISAAC are deeply grounded in theological education and ministry. We’ve all served as local church pastors or para-church staff. We’ve had many years of teaching experience in ATS-accredited seminaries. We are convinced, for the sake of God’s kingdom and the common good, that religious and academic institutions need to collaborate and communicate with each other. Unfortunately, Asian North American religious communities (Christianity, in particular) are low research priorities for most universities and seminaries. This doesn’t mean that research in these communities are non-existent. Several new studies – mostly sociological – have been published in the past ten years. However, there are few venues for scholars of Asian North American Christianity to meet, debate, and critique each others’ works. Nor are there funds to advance future research. ISAAC is attempting to fill the gap by organizing the Society of Asian North American Christian Studies (SANACS), a community of advocates for advancing scholarship in this area. Some of our publications are designed to be teaching tools for college and seminary professors to use in their classes. We believe that these efforts will help colleges and seminaries to better equip their students for a world that is becoming increasingly diverse. In the long run, strengthening the study of Asian North American Christianity will benefit the churches as well. ISAAC’s other audience is the Church. 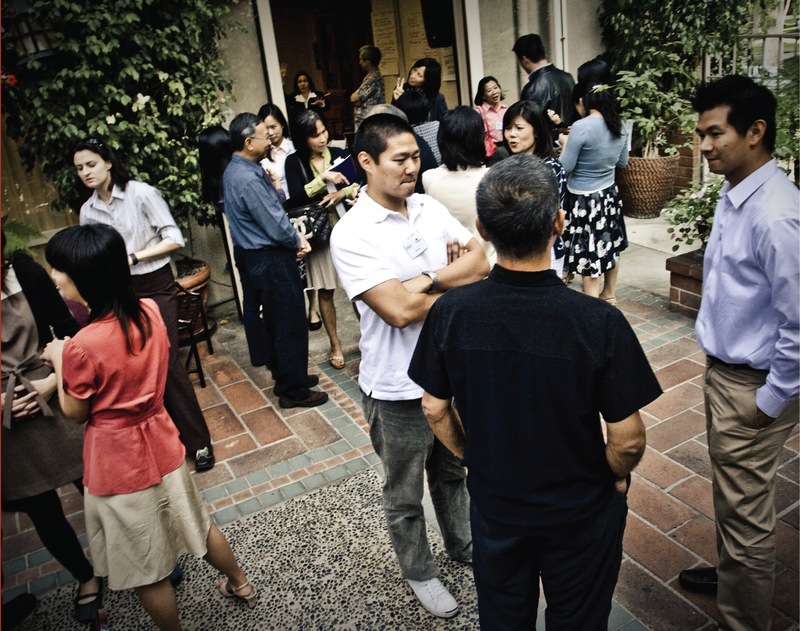 Many have already written about the rising tide of Asian American Evangelicals on North American campuses. But this is just an indication of the strength of Christianity among Asian North Americans. The recent Pew Forum survey on religion in America found that 45% of Asian Americans identified themselves as Christians. Effective resources are necessary to address this population’s unique needs and issues. So whether on campus, in an ethnic-specific church, in a pan-Asian or multi-ethnic church, or even in a predominantly white setting – wherever Asian North American Christians are – ISAAC provides resources to help them lay claim on and live out the faith for themselves. As many African and Hispanic American people have demonstrated, Christianity is not simply the religion of Euro-American white colonizers. Nor are should all evangelicals be identified with the uneducated or the Religious Right, as noted by many recent scholars, including D. Michael Lindsey, who describes the growth of evangelicalism in elite colleges [see his article in the Chronicle of Higher Education at http://chronicle.com/free/v54/i35/35b01201.htm]. Christianity is far too complex and diverse today to be assigned such a limited role. ISAAC believes that Asian North American Christians understand this and want to help them live out their faith without imitating Euro-American Christianity (or its stereotypes). That is why, beginning in the Spring of 2009, ISAAC will start equiping ministry and lay leaders as well as continuing our efforts in the scholarly community. Equipping and bridging the Church and Academy hasn’t been easy. Most pastors and professors are over worked and have little time to connect with each other. Institutional suspicion abounds as charges of “ivory tower” and “anti-intellectualism” are levied agains each other (both are fairly accurate, in my opinion). Asian North Americans, while over-represented in both institutions, continue to be marginalized in the curriculum or programs and key decision-making roles. It may be a hopeless cause, but ISAAC will continue to try to work with two audiences simultaneously because we envision a time when Asian North American Christians will play a pivotal postivie role in the Church, institutions of higher education, and the broader society. So when you think about what ISAAC is about – think equipping equippers. When you think about who ISAAC serves, think Church AND THE Academy!